The new Xiaomi Redmi Note 5 and Note 5 Pro are expected to be made official at a press conference tomorrow. 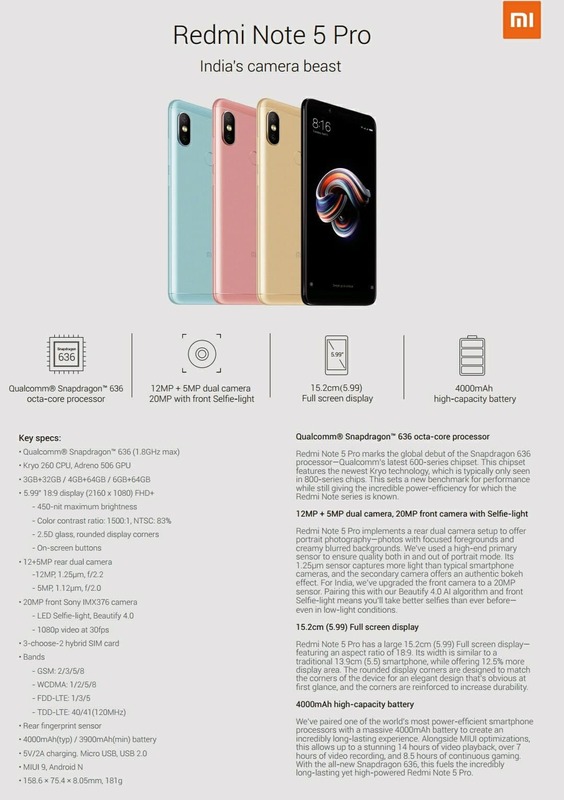 Both handsets have now been leaked ahead of their official unveiling and we have details on the specifications on the two handsets. 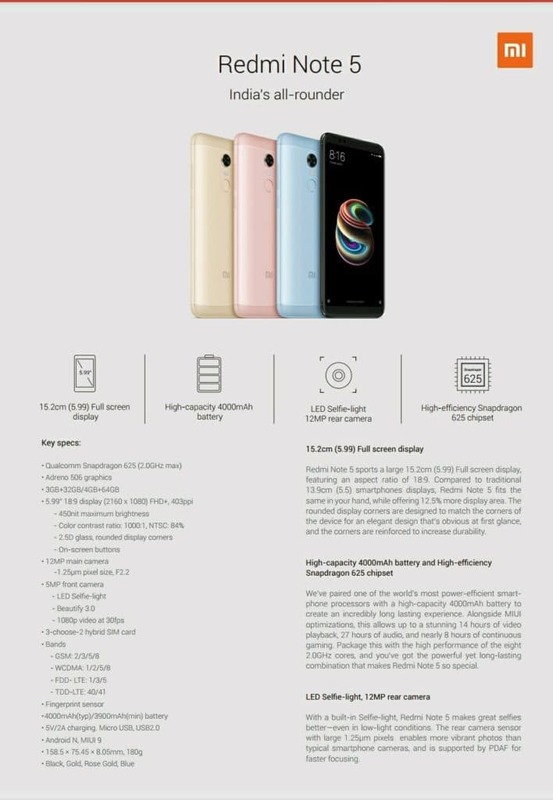 Both handsets will come with a 5.99 inch display with an 18:9 aspect ratio and a FHD+ resolution o 2160 x 1080 pixels. The Redmi Note 5 will come with a Snapdragon 625 processor and the Note 5 Pro will feature a Snapdragon 636 processor. The note 5 will be offered with 3GB RAM and 32GB of storage or 4GB of RAM and 64GB of storage. These options will also be available on the Pro plus an 6GB and 64GB option. Both handsets will come with a 4000 mAh battery and the Note 5 will have an LED Selfie-light camera and a 12 megapixel rear camera. 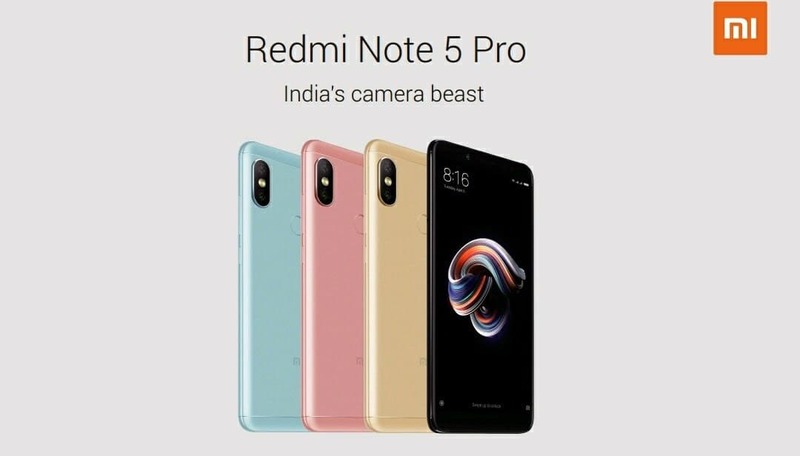 The Redmi Note 5 Pro will come with a 20 megapixel Selfie camera and a 123 megapixel and 5 megapixel rear camera. Both devices will come with MIUI 9 which is based on Android Nougat.